There are not a great many novels set in Mali. The country has had its own small literary scene since the 1950s, featuring writers like Amadou Hampâté Bâ, Massa Makan Diabaté, Moussa Konaté, and Yambo Ouologuem. Maryse Condé’s Segu (1987) and its sequel The Children of Segu (1989) offer worthwhile historical fiction dealing with Mali’s precolonial conflicts and kingdoms. But Mali appears quite seldom in English-language fiction. Clive Cussler’s Sahara (1992) is one exception to avoid; John Updike’s The Coup (1978) is set in a fictional country that looks a lot like Mali. Otherwise, Mali maintains a low profile, especially for American readers. Which is why The Golden Hour, a novel of political suspense published this month by Putnam, is at least somewhat remarkable. It is the first work of fiction by Todd Moss, though he has published a number of non-fiction books on economic development and stock markets in Africa. At his day job, Moss is Chief Operating Officer for the Center for Global Development, a Washington, DC think tank. (Full disclosure: I knew the author back in the 1990s, when we were both worker bees in Washington’s Africa policy non-profit circles.) His novel comes highly recommended: the dust jacket features enthusiastic endorsements not only by thriller writers like John Sandford and Douglas Preston, but by pundits like Francis Fukuyama and James Fallows. In the latter’s judgment, Moss does in this book for diplomacy what Tom Clancy did for the military. 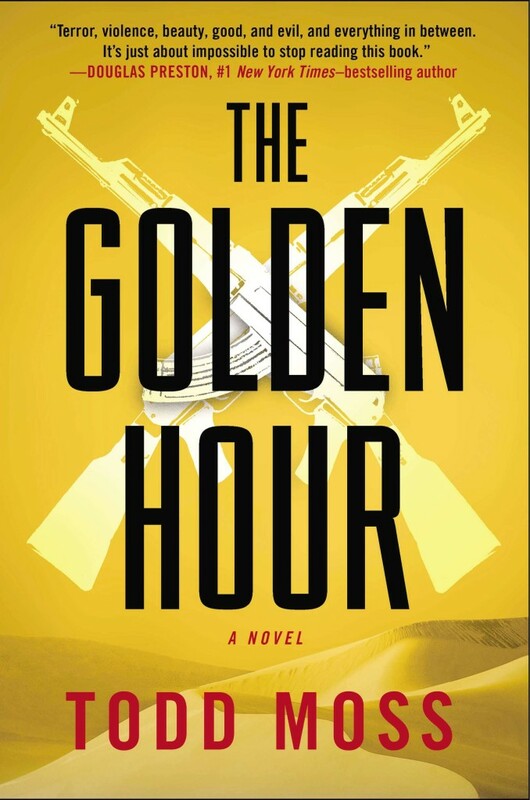 The Golden Hour is the story of Judd Ryker, a social scientist plucked from Amherst College to lead the U.S. State Department’s new Crisis Reaction Unit. (If you’re wondering why the author christened his protagonist “Judd Ryker,” I suspect it’s because “Ted Striker” was already taken. Like Striker, Ryker’s efforts to save the day are haunted by his past, but at least Ryker doesn’t have a drinking problem.) Ryker is an unlikely action hero: he never fires a gun, though he does carry one briefly, and the primary threats he faces are bureaucratic rather than kinetic. He’s tasked with reversing a coup in Mali, one oddly similar to the putsch of March 2012 — even though Moss had already finished the book by then. Among the parallels: the fictional junta is named the “Council for the Restoration of Democracy,” while the real one was called “the National Committee for Recovering Democracy and Restoring the State”; the leader of each compares himself to Charles de Gaulle. Inter-agency rivalry is another huge hurdle for Ryker. Trying to grasp the murky, fluid situation developing in Mali, he receives conflicting accounts from State, the Pentagon, and the CIA, not to mention foreign governments and DC lobbyists. How can he cut through the layers of disinformation to find out what’s really going on? How can he restore Mali’s democratically elected president to power when his defense counterparts, who see that president as soft on terrorism, prefer to deal with a military strongman in Bamako? Moss knows this territory intimately: From 2007-2008, he was Deputy Assistant Secretary of State for African Affairs. As he mentioned in a recent interview with The Washington Post, one of the things he tried to do during his service at State was reverse a military coup in Mauritania. The imprint of that failed mission is evident throughout The Golden Hour, as Moss’s hero struggles to reconcile multiple conflicting agendas within the U.S. government to achieve his objective in Mali. The plot is implausible at times, and formulaic in ways the author acknowledges. (At one point, aboard a helicopter racing toward Timbuktu, Ryker wonders, “am I becoming a caricature of the outsider in Africa, living out romantic fantasies?” The implied answer is “Damn right!”) Its African characters are mostly flat, serving either as villains or dispensers of cryptic, proverb-laden advice. The prose throughout does not exactly sparkle. For these reasons I cannot call The Golden Hour the best thriller, let alone the best work of fiction, I’ve read this year. (That distinction goes to David Shafer’s Whiskey Tango Foxtrot, which simply blew my socks off. I’m still trying to find them.) But it’s an enjoyable, fast-paced read, and I find it encouraging that Moss was able to publish this book at all, given U.S. trade publishers’ disinterest in African subject material — see his essay for The Daily Beast on that score. I hope The Golden Hour sells well and helps generate public interest in African affairs. Got a favorite novel that features Mali? Feel free to recommend it in the comments section. And you can catch Moss on NPR’s “The Diane Rehm Show” on Tuesday, September 16. This entry was posted in Uncategorized and tagged books, politics. Bookmark the permalink. 17 Responses to Book review: Can Judd Ryker save Malian democracy? Bruce, you missed to mention the great writer Seydou Badian, also a former politician, still alive (I met him several times). Has written several novels, for example La saison des pièges. Now writing his memoirs, i a. on the days he spent discussing philosophy and fishing with Che Guevara. I reckon any novel about Mali has to be about the music. And love the poll. I voted. Make it so. But go ahead and write! I would read it, if the Africans in it were real people. White caucasians could provide a picturesque backdrop. Bruce, Thanks for the review. I ordered the novel. I’ll let you know what I think. As for my book, I’m still expecting release in November. I finished the last of the editing, the index, last week. It’s been sent to the printer. I’ll keep you posted. Thanks again for you help. Just don’t name him Jack Reacher, who is the protagonist in a series by Lee Child. Why do all those names (Judd Ryker, Ted Striker and Jack Reacher) have to sound so similar?? I guess I’d have to suggest “something completely different” like one of the names in a Monty Python sketch. Here’s my idea for your protagonist’s name: Kungo So Jeman. “Kungo So Jeman”? That’s a good one, but kind of literal. I think I will stick to my formula: first name of Brat Pack actor + last name of a male character on “Star Trek: The Next Generation.” Actually it’s Todd’s formula, I’m just borrowing it. Ha ha, well I knew at least the author of this blog would get my joke. Thanks for your reports from/about Mali, I love them. You mentioned books written about Mali, but missed mine: SEASONS OF SAND, Simon & Schuster 1993. It is about Araouane (260 kms north of Timbuktu) where I stayed for three years, describing my interactions with government, the population, the land. Thanks Ernst – I know your book! I still remember a line, something about “taking matters quickly in hand.” I should do another post on narrative non-fiction set in Mali, Seasons of Sand being a good example. Add to that Monique and the Mango Rains by Kris Holloway. That’s a great one – I used Monique & the Mango Rains in a class I taught once, and my students certainly appreciated it. Another narrative non-fiction book on Mali that I admire is Banning Eyre’s In Griot Time: An American Guitarist in Mali. It’s an account of the author’s experience studying Mande guitar with Djelimady Tounkara in Bamako of the mid-1990s. New to Bamako, and enjoying your great blog, but seriously, Picard, Crusher, LaForge? Unless you are writing a sci-fi spoof (set in Mali, THAT would be original!) I would avoid all of those names. Being constantly reminded of “Star Trek The Next Generation” while trying to read a novel set in Mali sounds horrifying to me. Good luck with the book, though. We could certainly use a novel that goes beyond the usual American expat stereotypes and two-dimensional African characters. In the same vein (i.e. political/espionage thrillers), there is “Panique à Bamako” by Gérard de Villiers for those familiar with the SAS serie. Yes, the SAS series’ Mali installment makes for interesting reading. Published in late 2012, it incorporated actual events, beginning with a car crash on the Pont des Martyres involving three US special operations personnel in April of that year, and I understand that the author visited Bamako while writing the novel. I’m not sure how many other French-language thrillers set in Mali might have been published, but I suspect that Panique à Bamako is the most prominent among them. Thanks Stephane, I hadn’t heard of that one and have just ordered it!